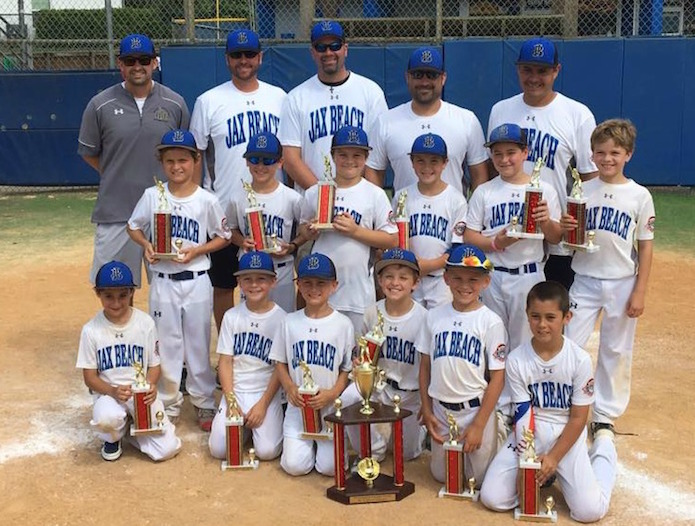 The Jax Beach Barracudas 8U baseball team has qualified to play in the Rookie State Tournament in Palm Beach Gardens, June 30-July 3. Money raised will go directly to our 12 players/families to help cover travel and lodging expenses for the State Tournament. All business sponsors that donate $250 or more will get their logo on a banner that will travel with the team to the State Tournament. This great group of kids and coaches appreciate your financial support! Upload your businesses high resolution logo. Jacksonville Beach Baseball Association, Inc. is a registered 501(c)(3) non-profit organization. EIN: 59-3370216. Your donations are fully tax-deductible.